Discover the best way to save when buying performance brake rotors. We have to face the fact that no matter what, with the cost brake rotors command these days, they are going to set you back a few bucks. But there are ways to minimize the outlay. First, do not buy your car brakes from your local auto dealership. The dealership not only works in a premium markup for their parts, they really hit you for the labor costs. And worse yet, they sometimes combine the part prices into the whole invoice, so you never even see the markup you paid to put his kids through college. The first aspect to cutting the price of brake rotors is to buy your parts from a reputable retailer, and then have your mechanic do the greasy work. This is a great way to go since you can not only dramatically lower your brake rotors replacement cost you’ll find there are a lot of brake options out there made just for your specific driving needs. Also, shopping online is a great way to study rotor reviews from other consumers. Now, to bring the cost down even further, you can buy your parts retail and install them yourself. This may sound a lot easier said than done, but that depends on your vehicle. 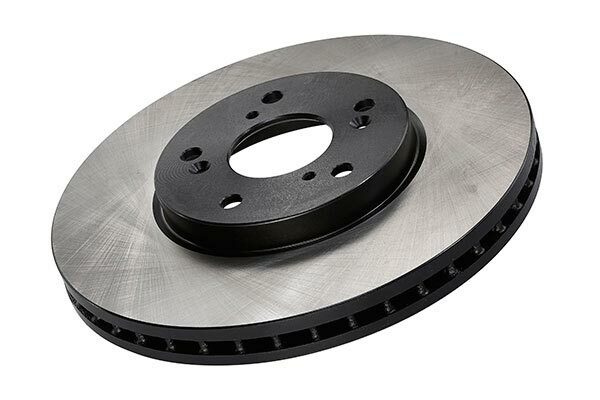 For instance, installing BMW brake rotors is likely a lot more technical than installing Ford F150 brake rotors. But, with the proper tools and some online research, a DIY installation can be done pretty easily. Once you realize how much you’re actually saving on your brake job, you may want to toss in some brake upgrades that you didn’t think you had the cash for. 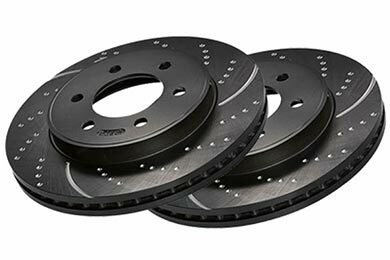 For brake rotors that means a set of cross drilled rotors, or even cross drilled and slotted rotors—both make a huge difference in braking performance and style. Once you decide on the right rotors and to do the job yourself, it’s easy to save big money on brake rotors. And, since your getting your brake pads, rotors and components right here at AutoAnything, you’re already saving big. Rotors perform great. Nice to have a set that doesn't look rusted out. If I have one rotor that is below limits, will I have to replace both left and right at the same time or can I just replace one? I recommend replacing both rotors at the same time as uneven rotor thickness from one side of the vehicle to the other can cause braking issues due to the thinner side getting hotter. Brake fade on one side of the vehicle can cause a pull to one side. Does anyone know where the made (I hope not in China) ? Thanks. Hello Yuriy. These Power Stop Cross Drilled and Slotted Rotors are made in the USA. Reference # 761-764-017 © 2000-2019 AutoAnything, Inc.